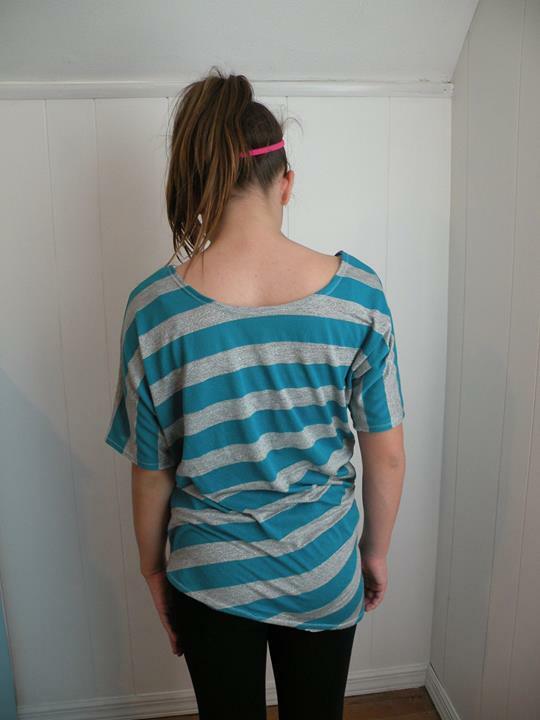 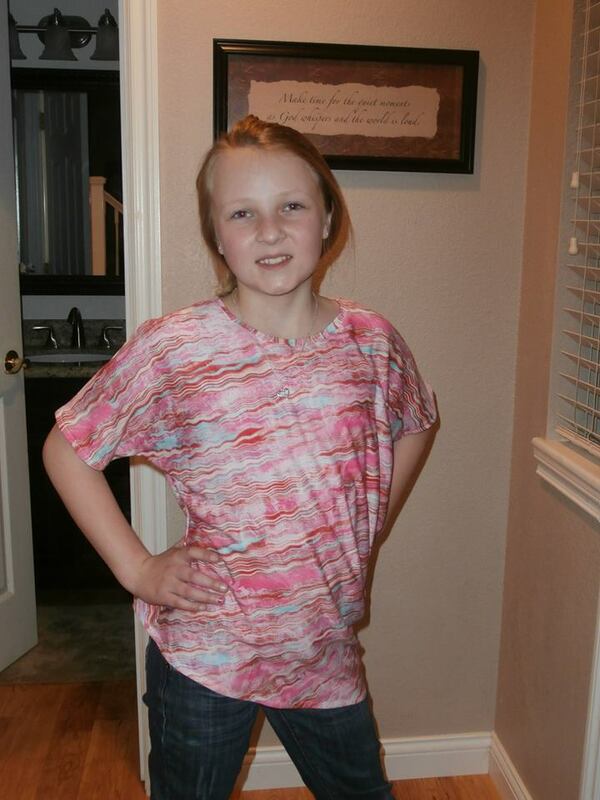 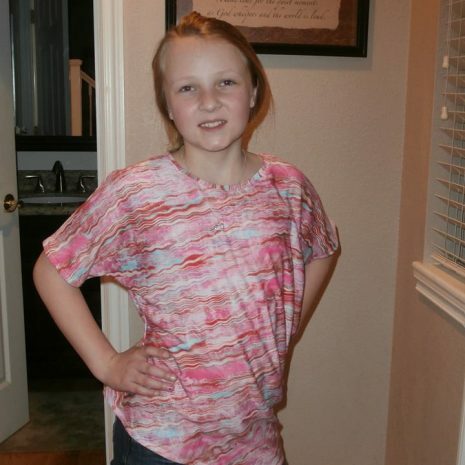 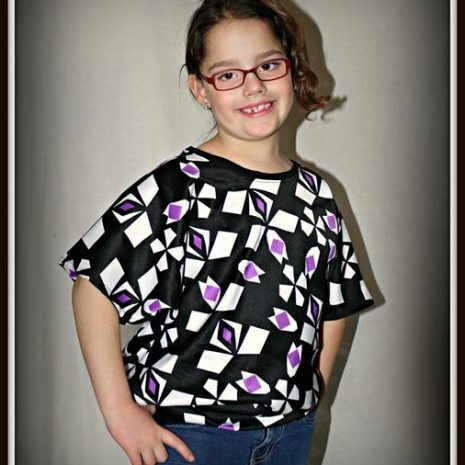 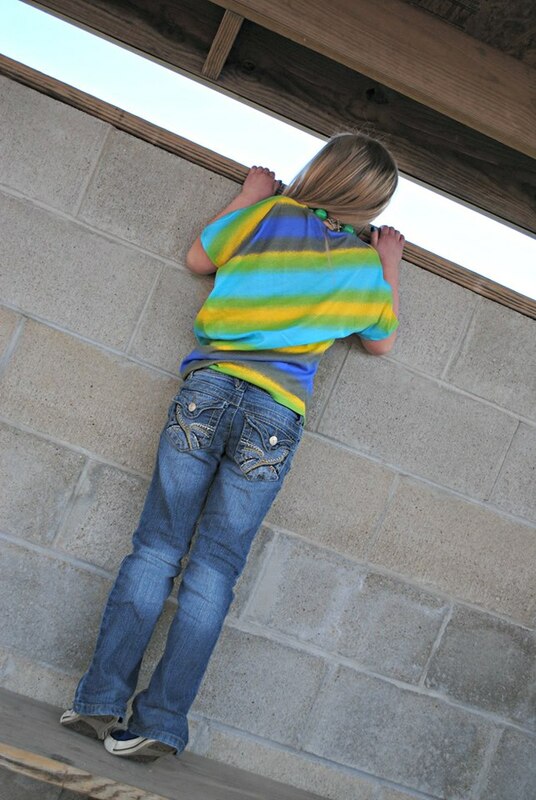 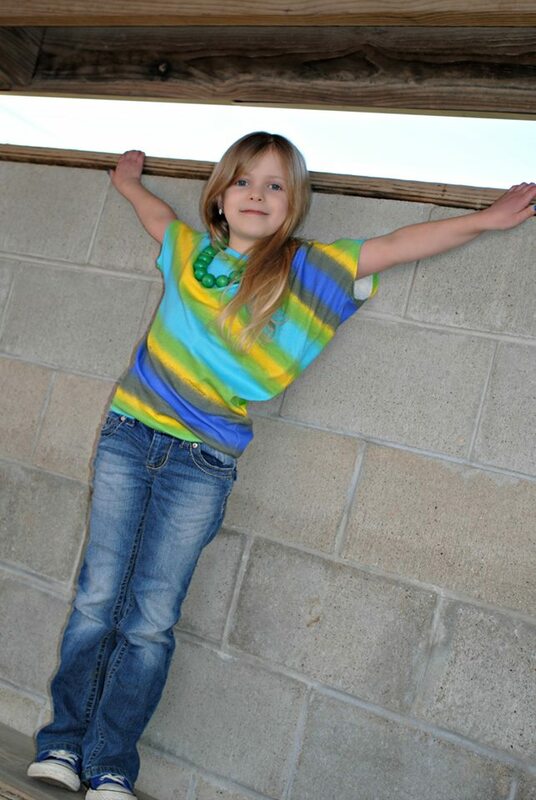 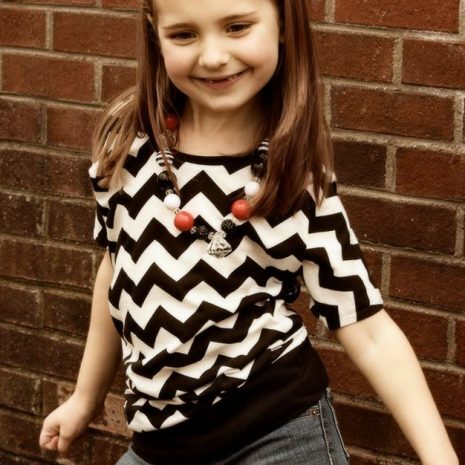 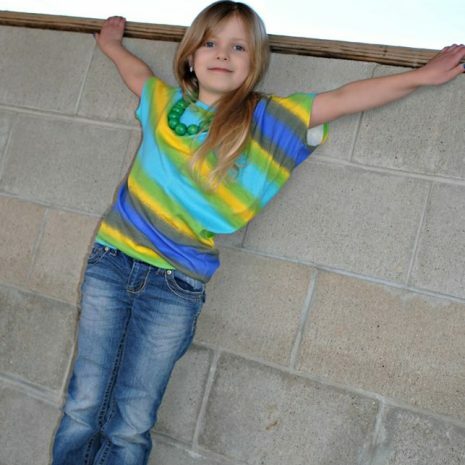 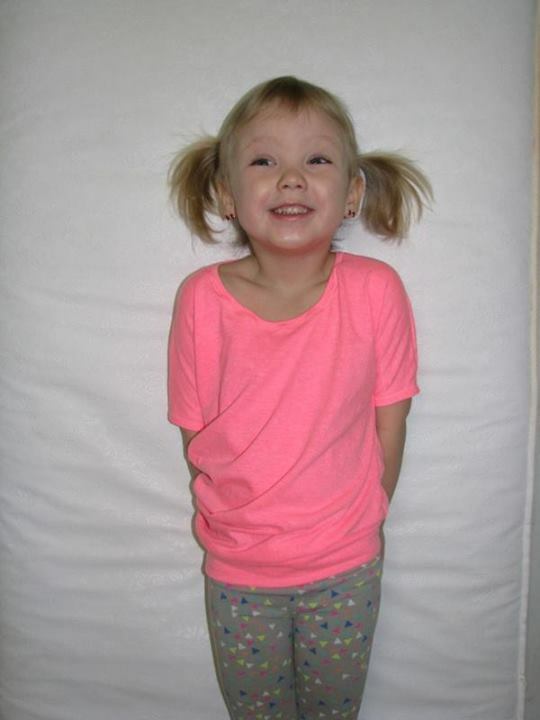 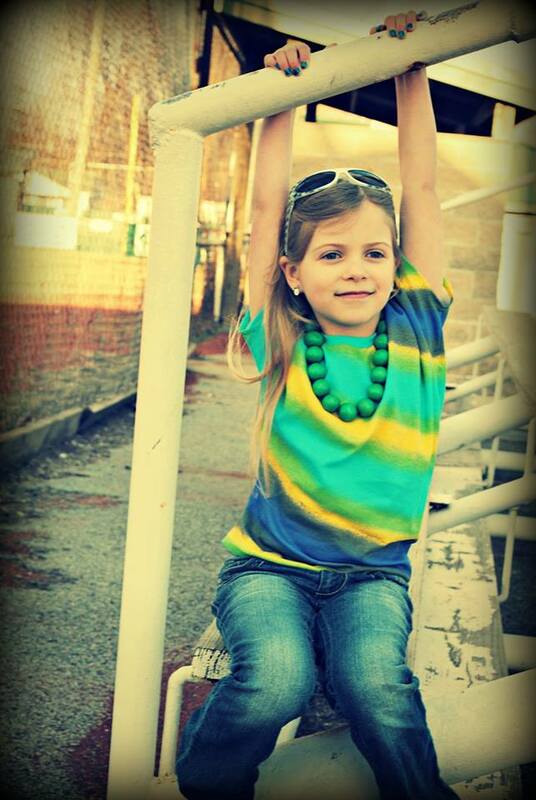 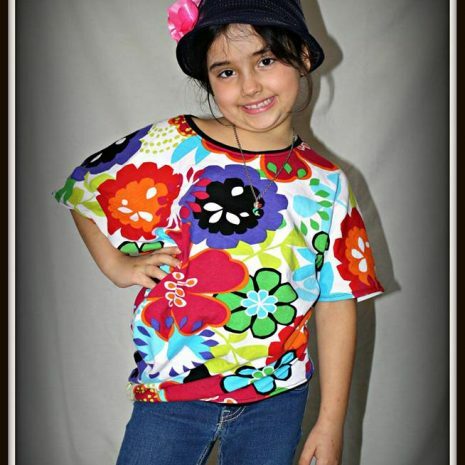 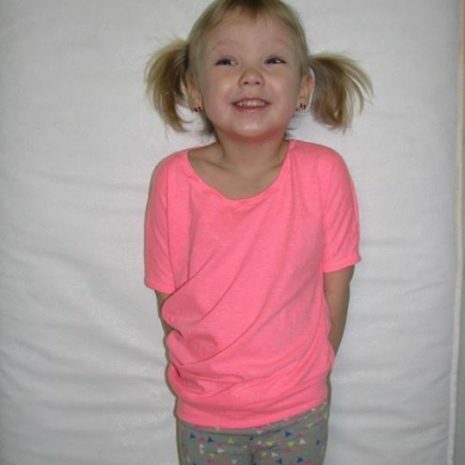 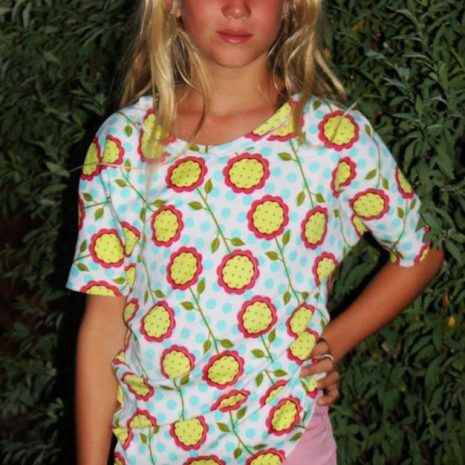 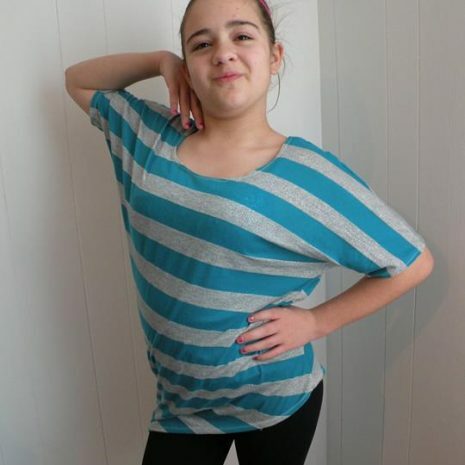 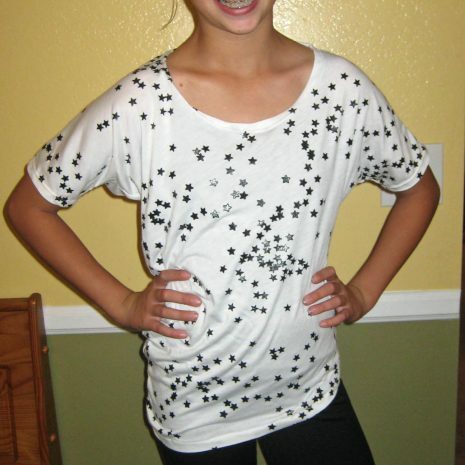 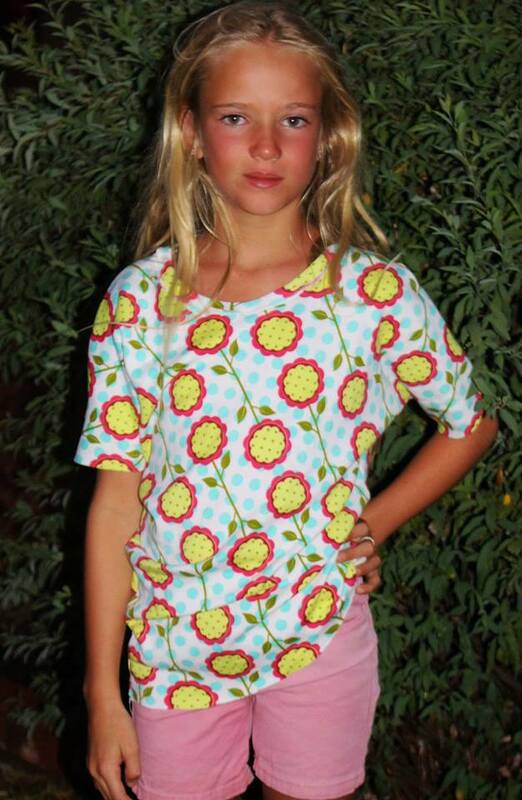 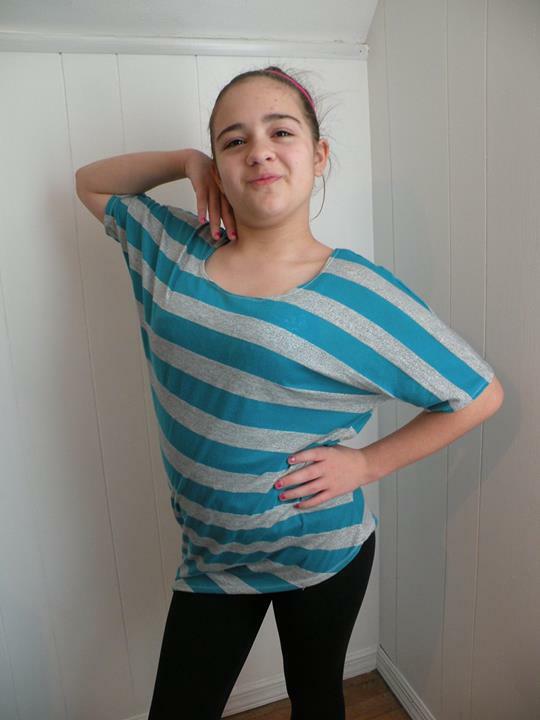 Girls Asymmetrical Drape Top (NB-18 Tween) – Everything Your Mama Made & More! 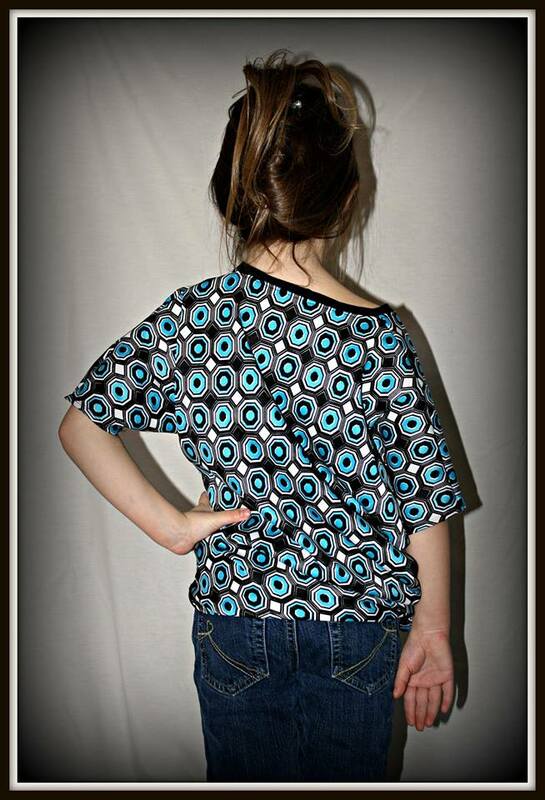 The Asymmetrical Drape Top is inspired by the high fashion trends I have seen the last few seasons. 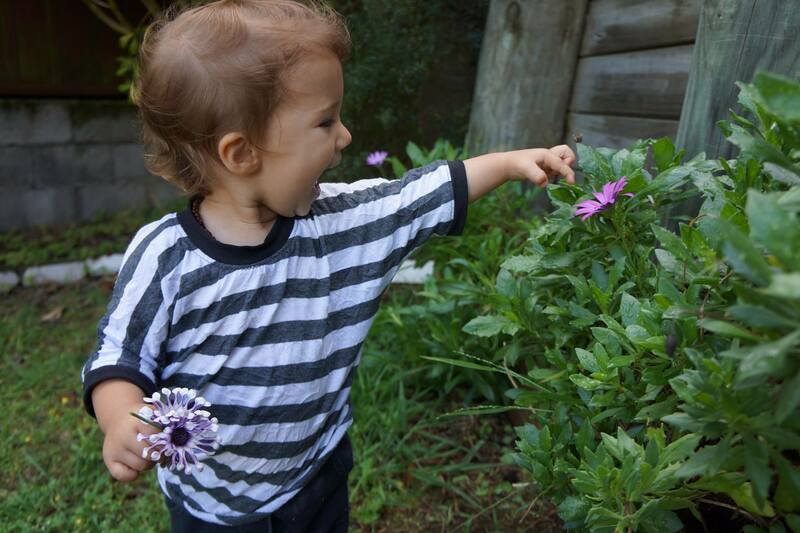 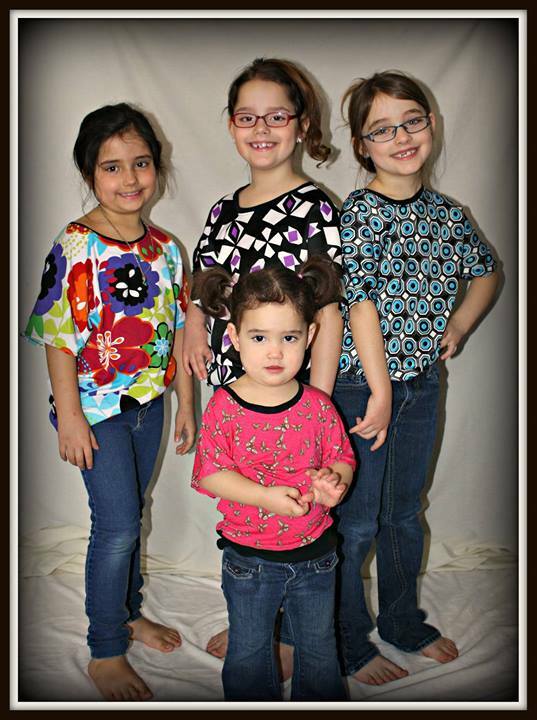 When I made myself the womens version my 6.5yr old twin girls were soon asking for their own too! 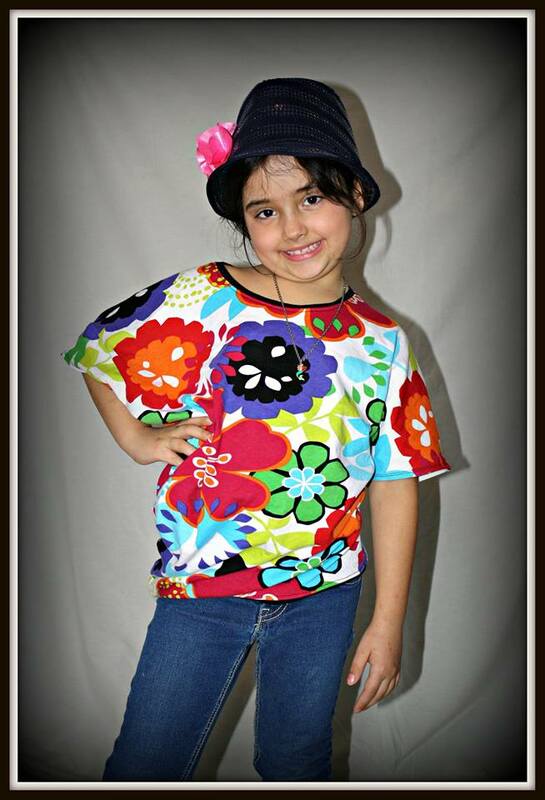 It is modern and trendy but still practical and comfortable for everyday wear. 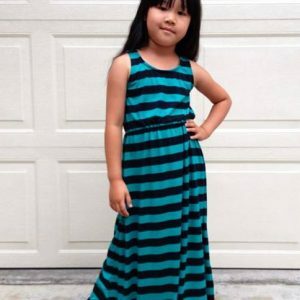 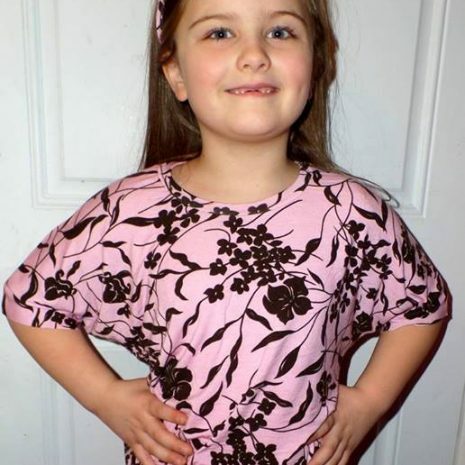 Both side seam/sleeve options offer plenty of fabric drape for the mid section, which does a great job of flattering those changing tween figures in the right places. 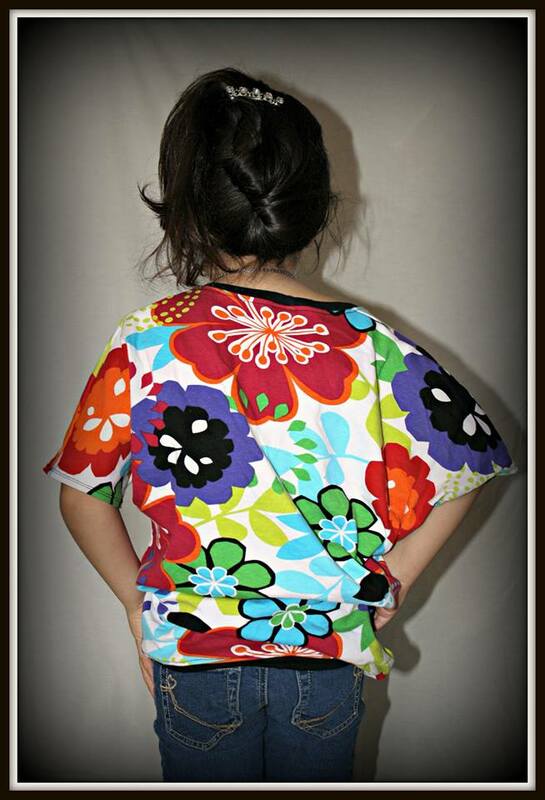 It has 2 different side seam options. 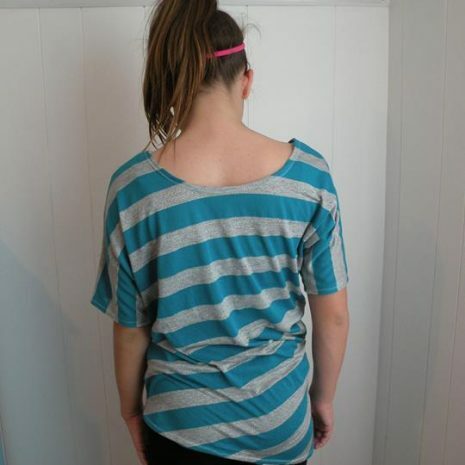 One gives a more asymmetrical sleeve shape with the drape. 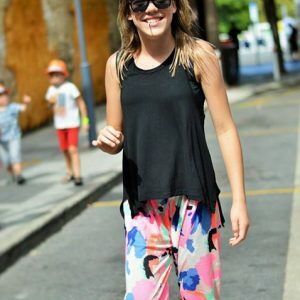 The other offers closer to a traditional dolman sleeve and fitted torso while still taking advantage of the asymmetrical hem, sleeves and fabric drape on one side. 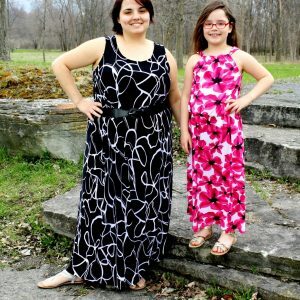 Dress it up or down with different pants and or accessories and wear it across all 4 seasons. 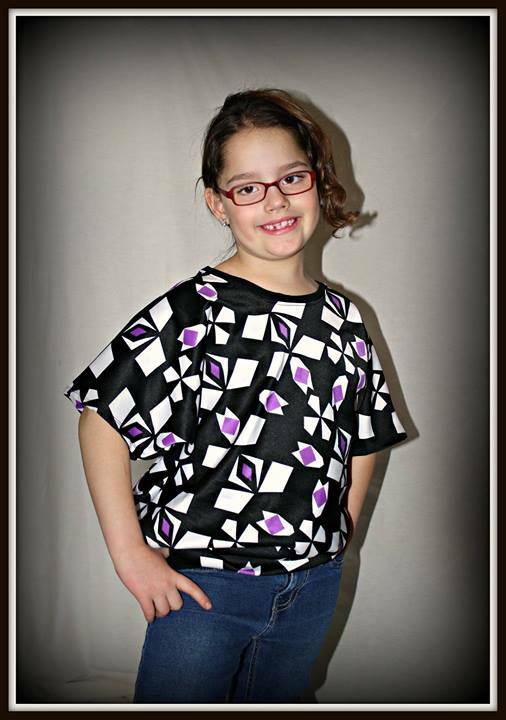 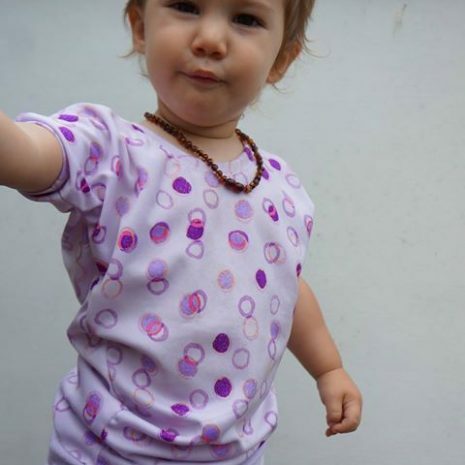 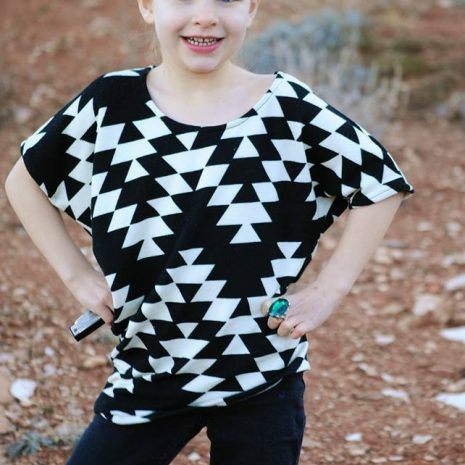 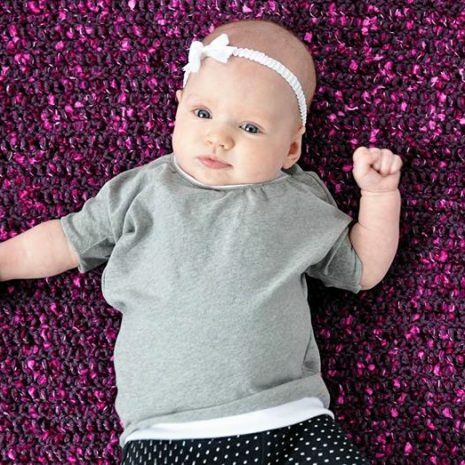 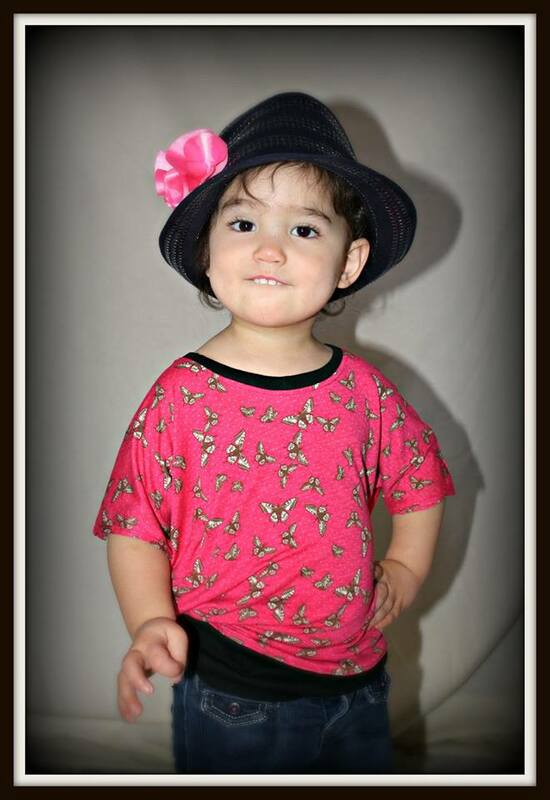 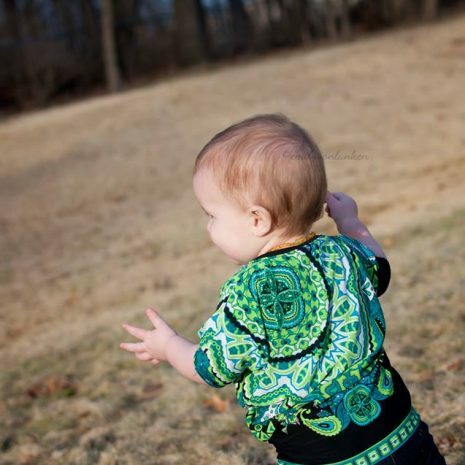 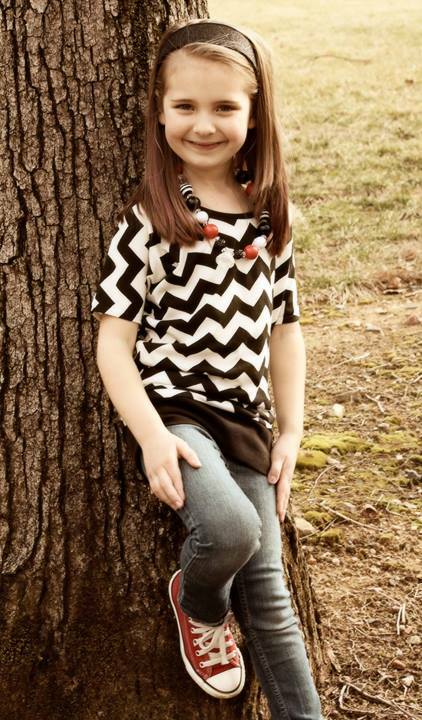 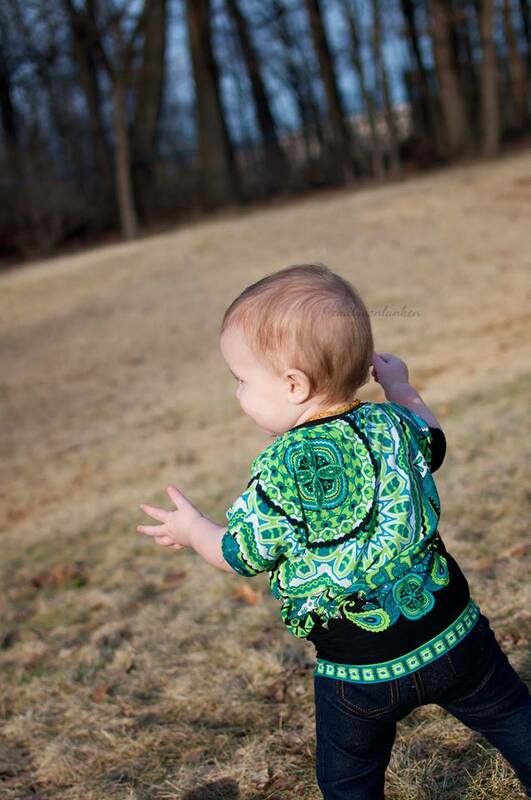 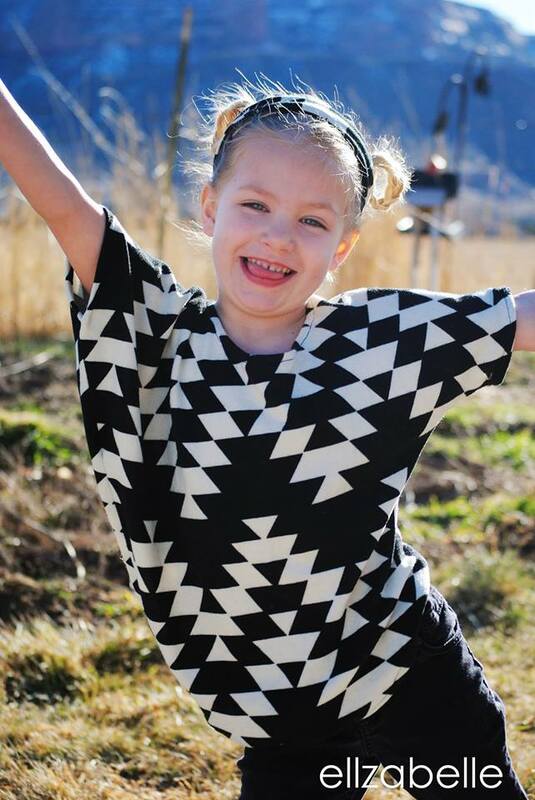 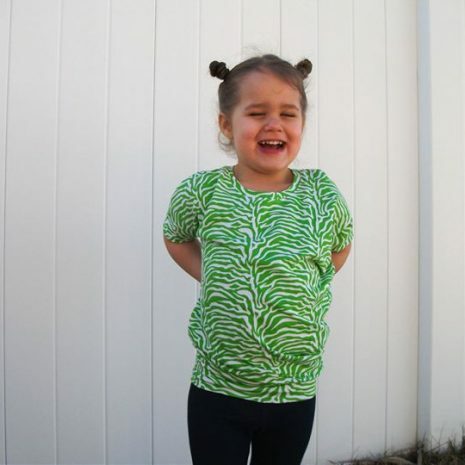 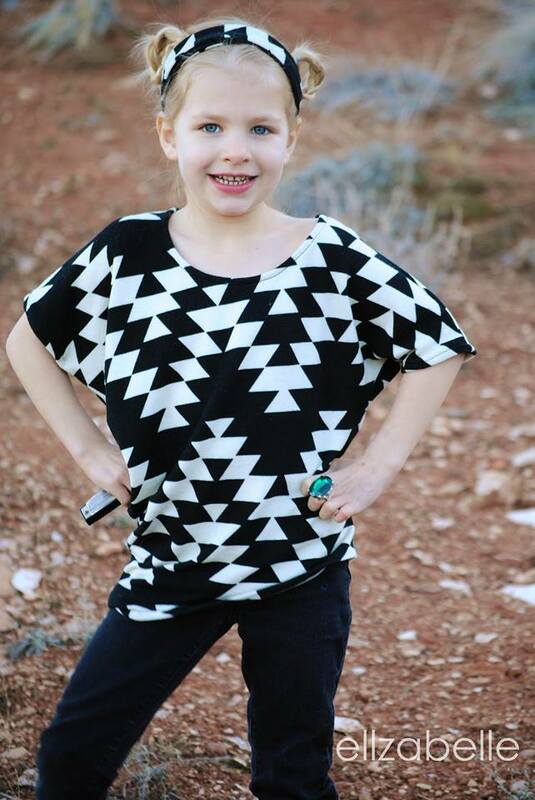 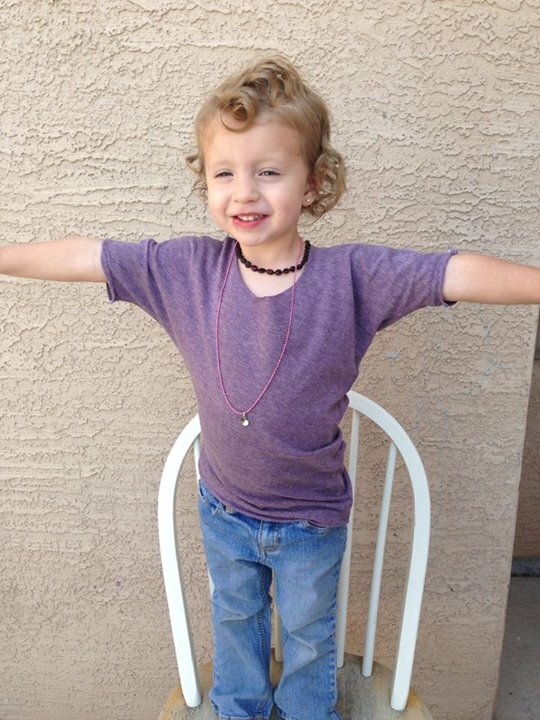 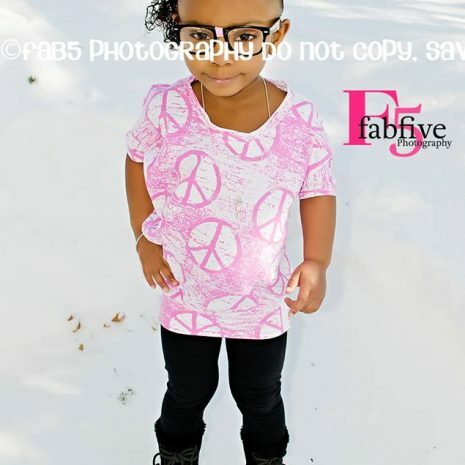 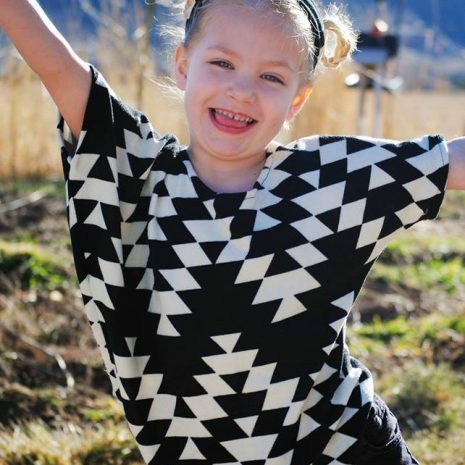 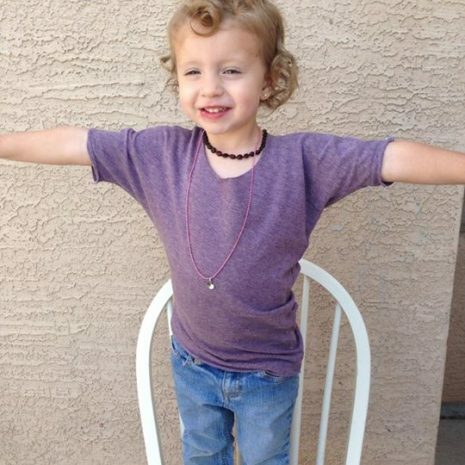 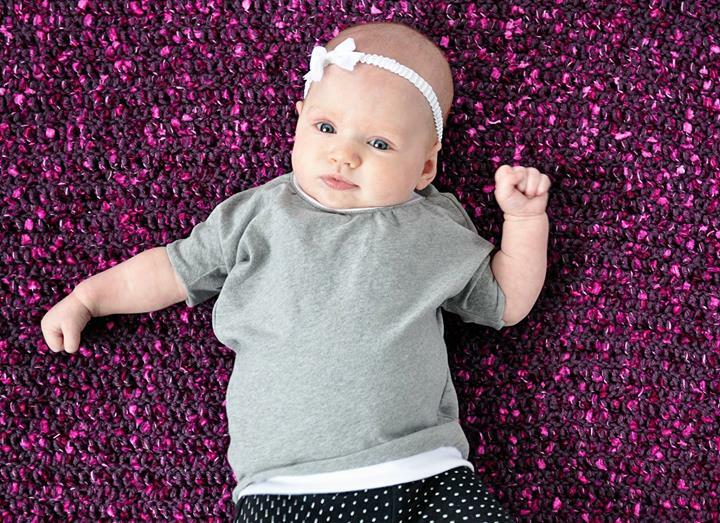 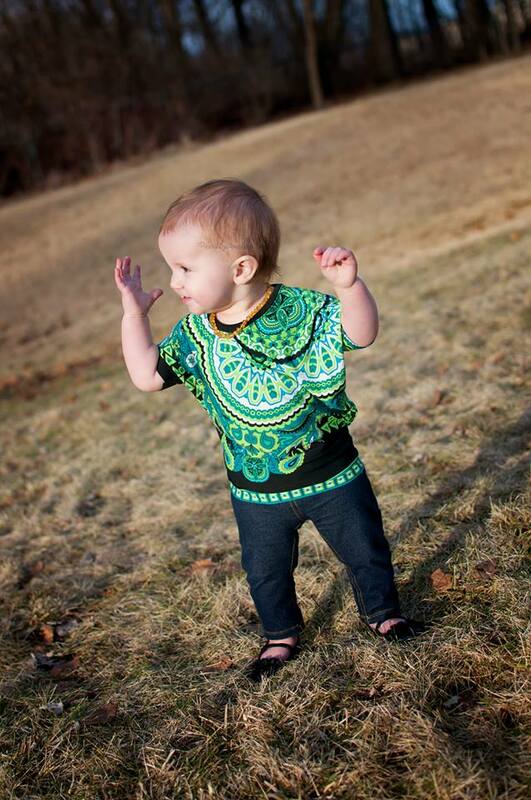 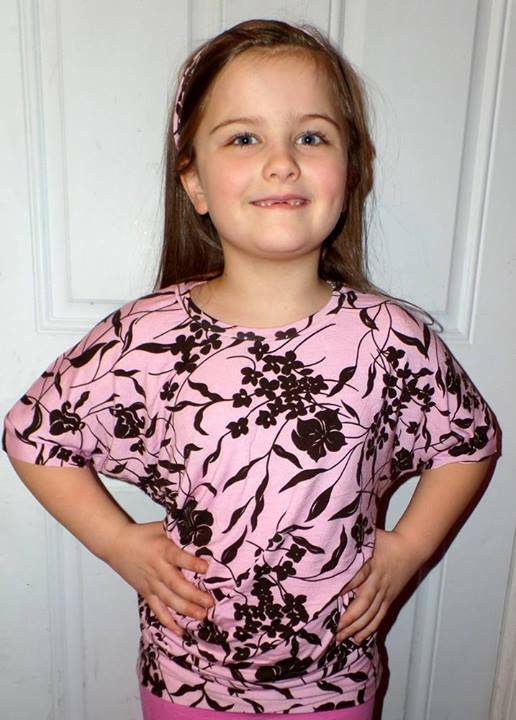 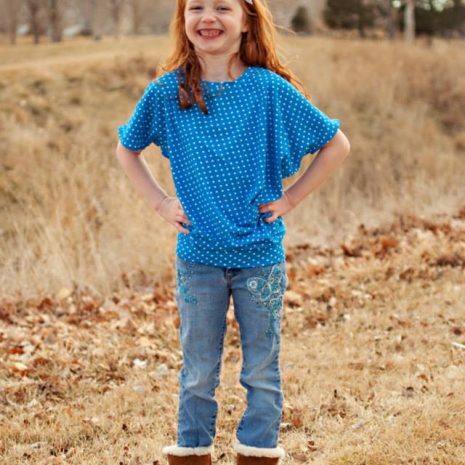 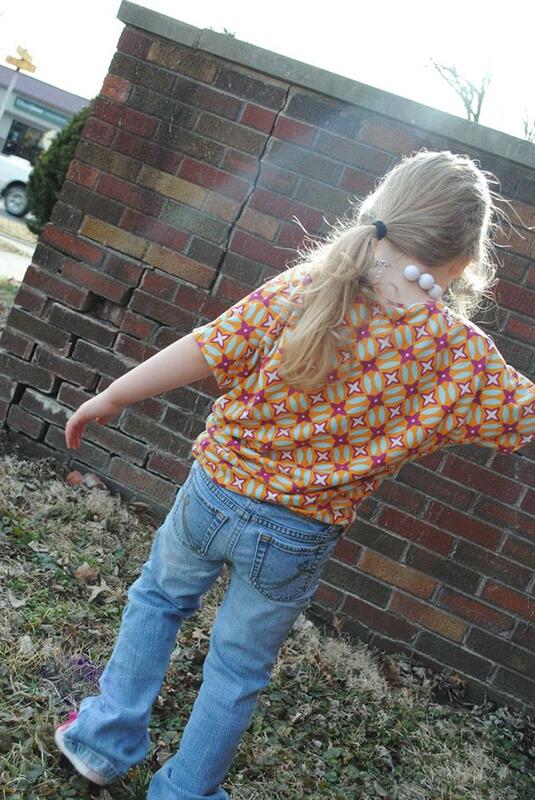 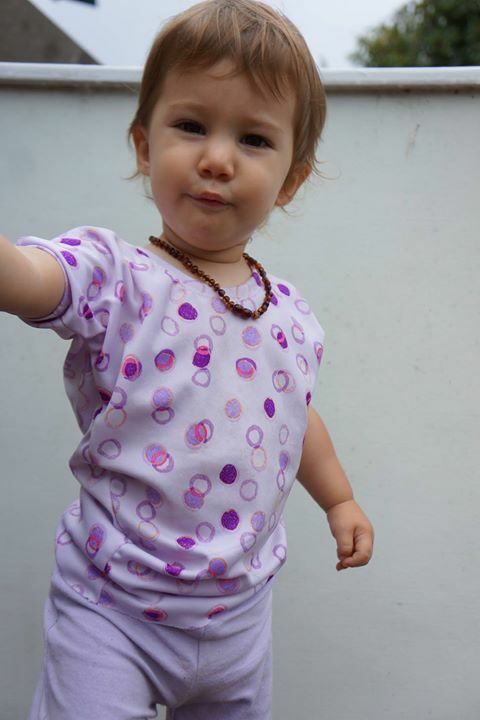 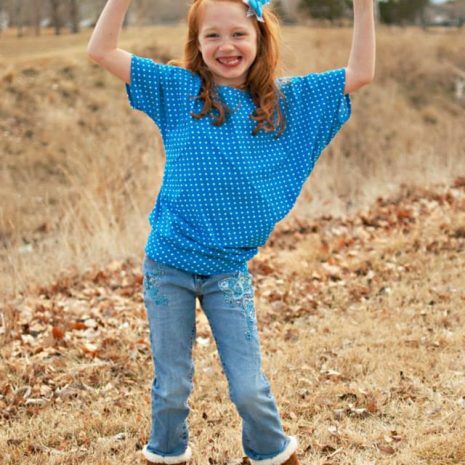 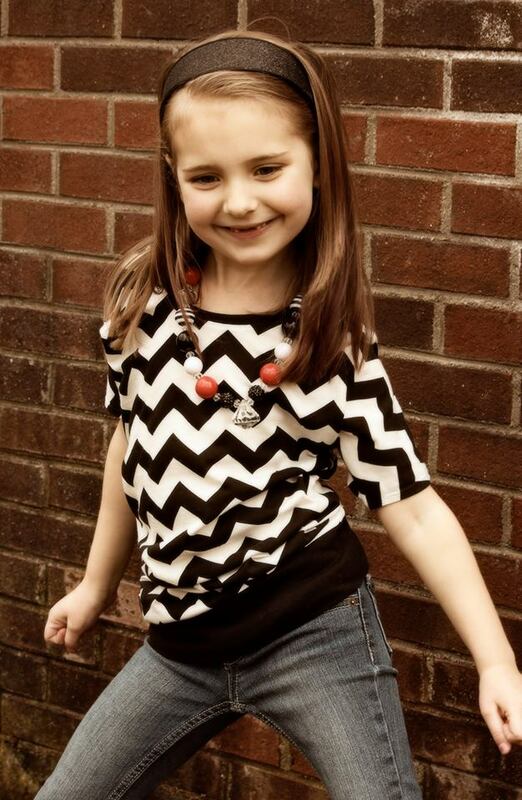 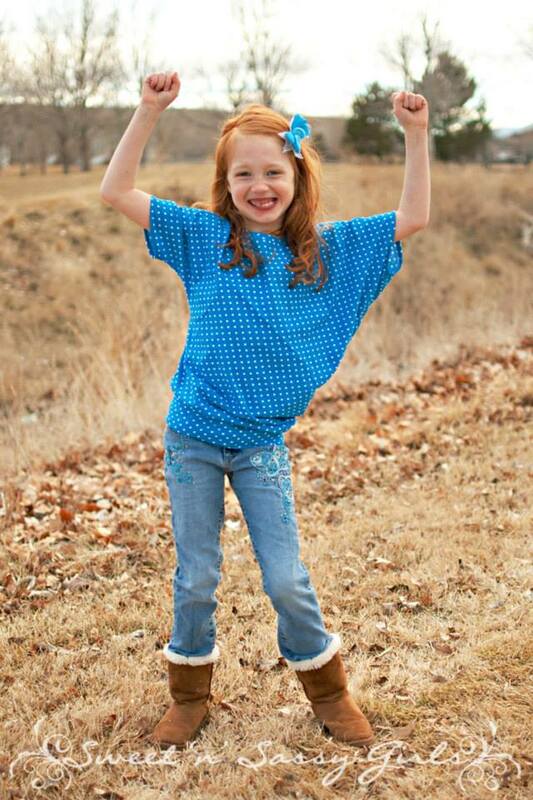 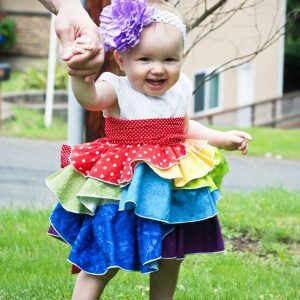 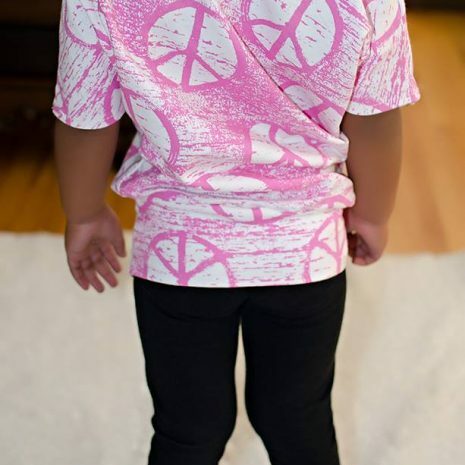 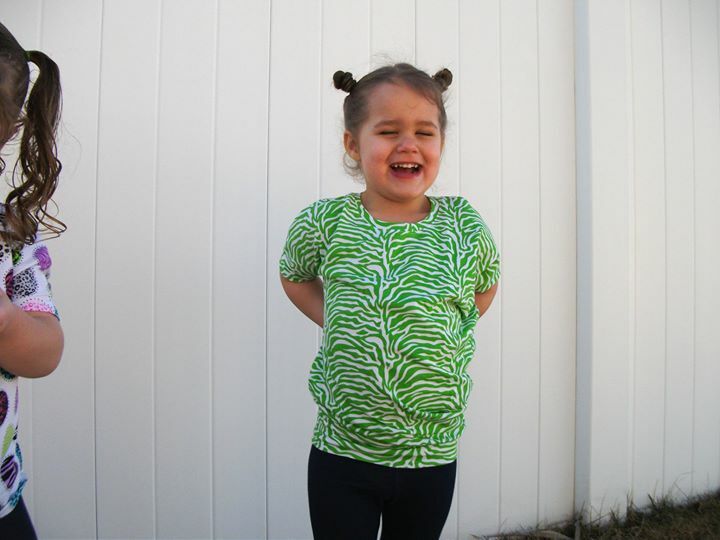 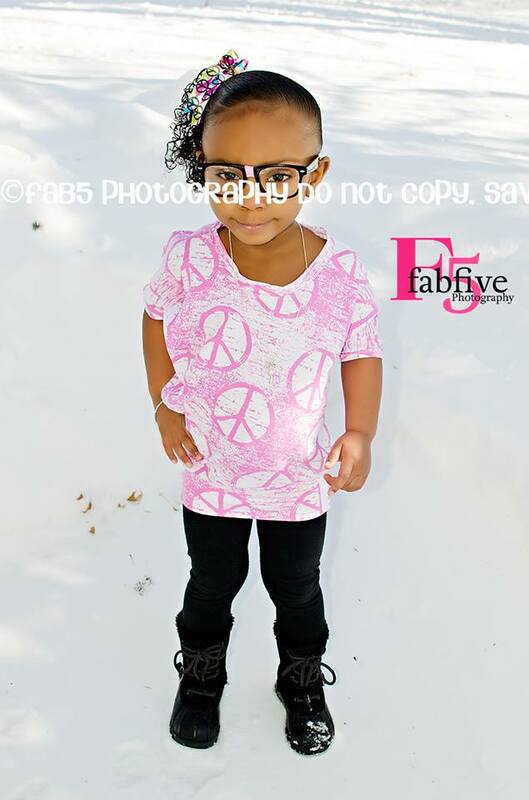 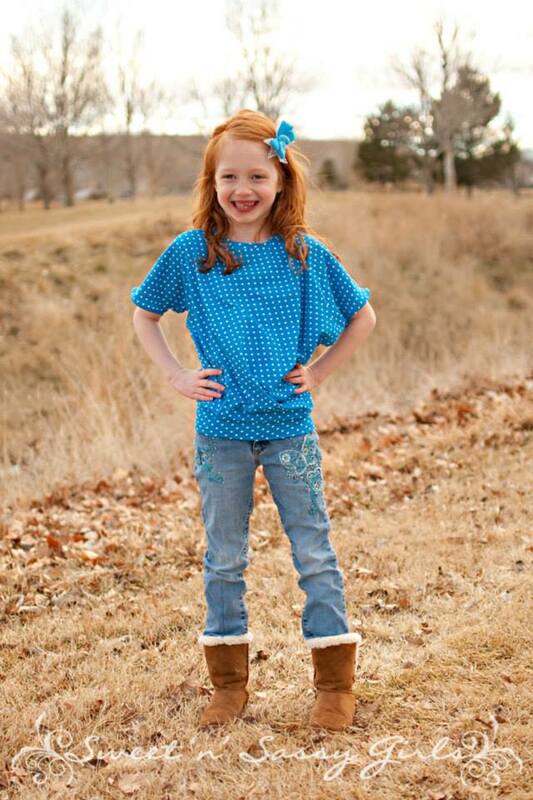 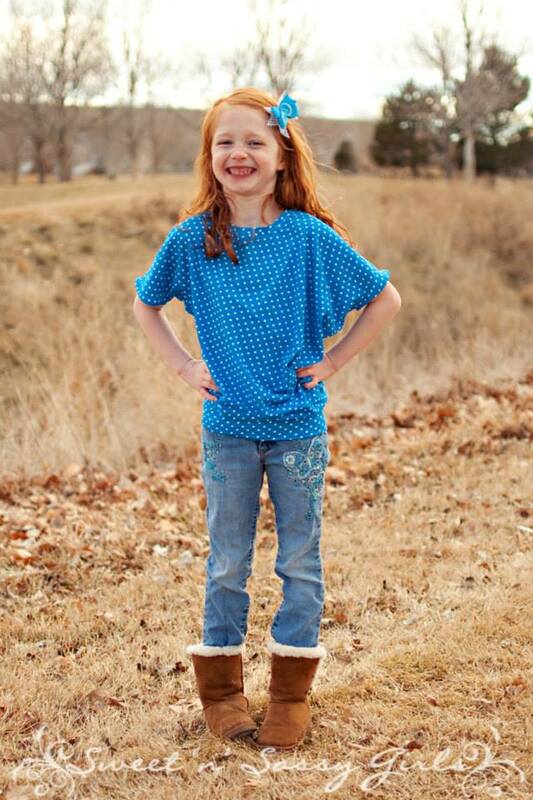 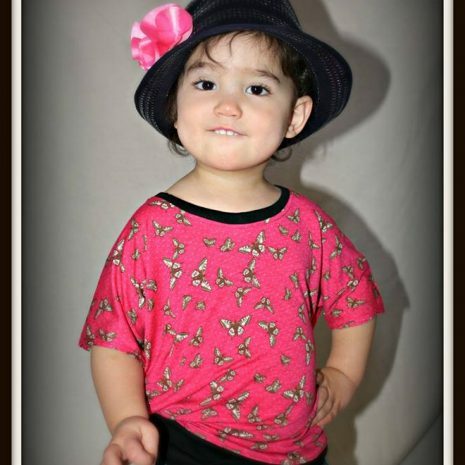 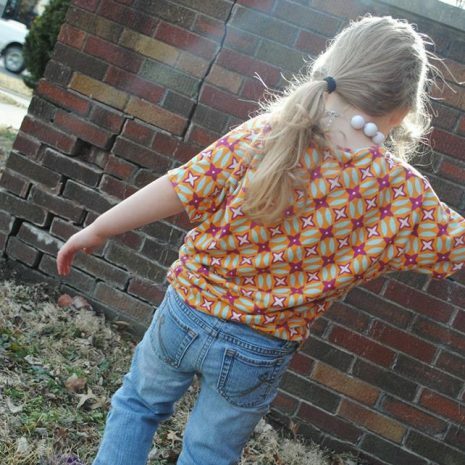 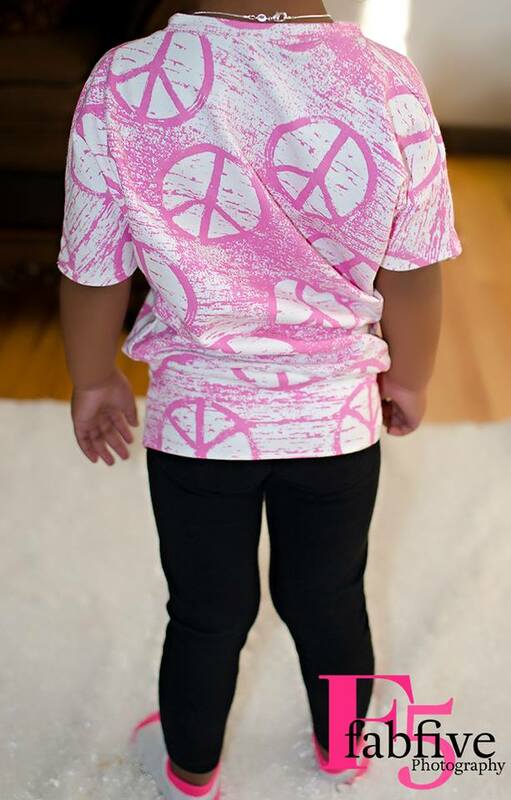 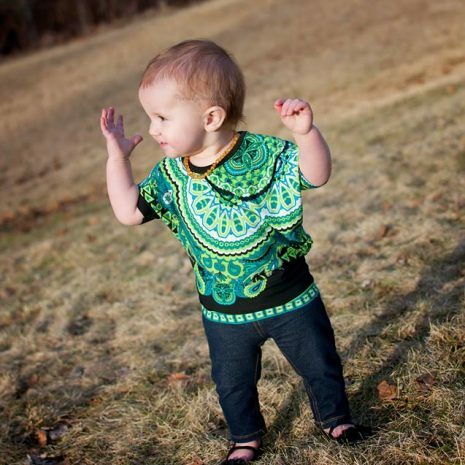 This girls top pattern offers 19 sizes: Infants and Toddlers Newborn-4T and Girls and Tweens 5-18. 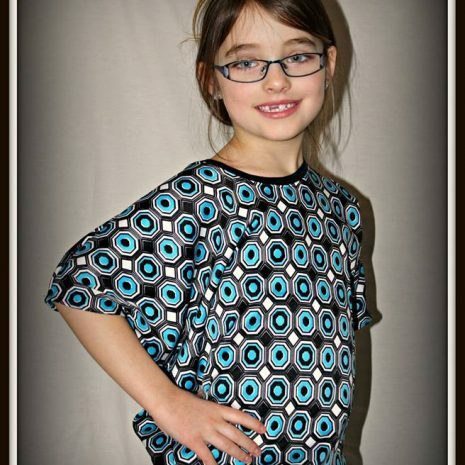 It is a quick sew with amazing results. 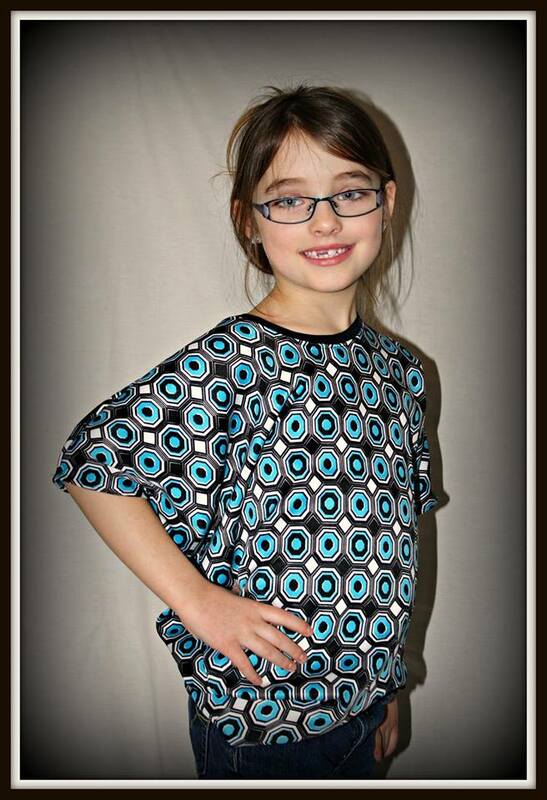 This pattern is includes a ebook .PDF file with 13 pages of instructions, photos & diagrams. 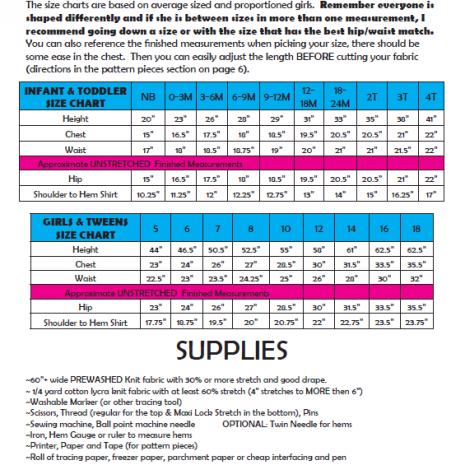 It also includes 39 professionally digitized pages in the same file & page print guide that you assemble to make the full sizes pieces (6- 15 pages per size group). 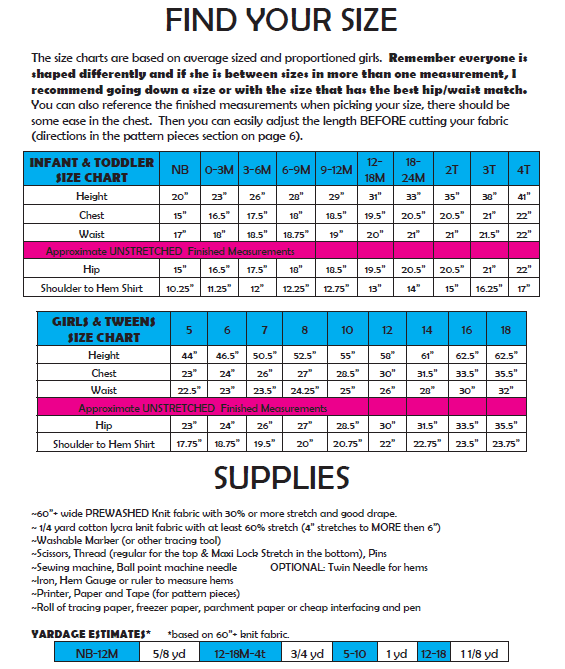 Make sure to read the directions BEFORE printing off all the pages. 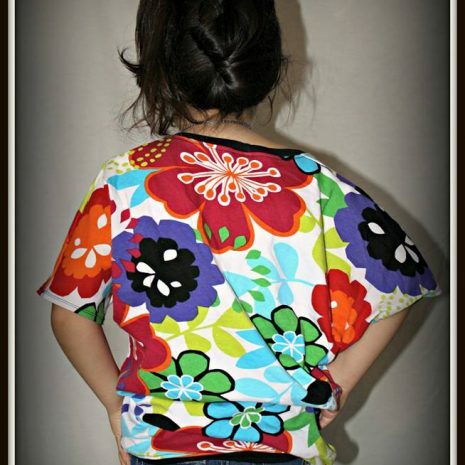 I love this pattern! 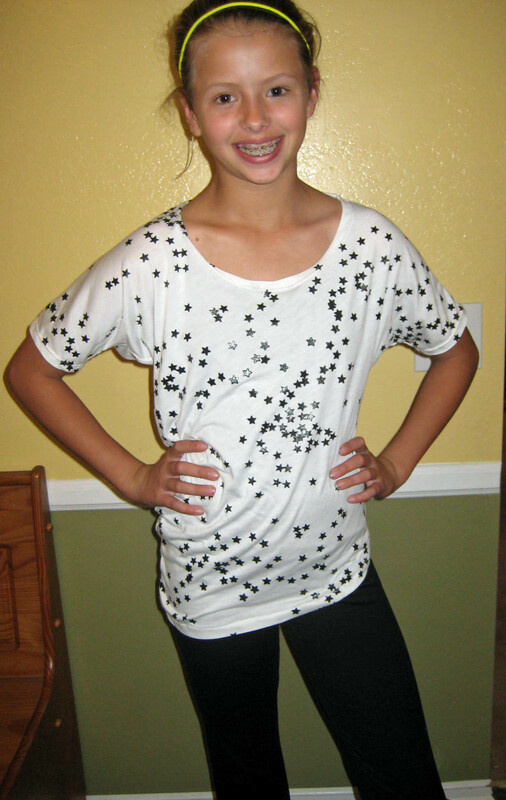 It’s super fast and easy but makes for a super stylish and trendy top! 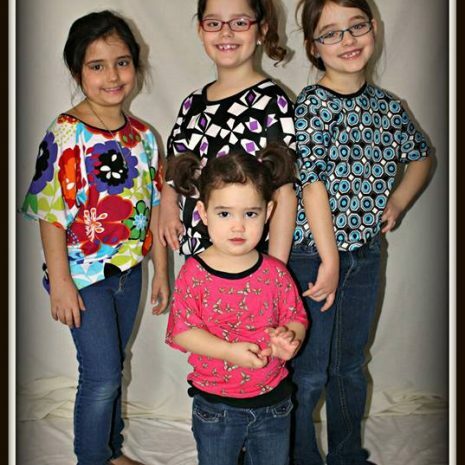 My girls love it because it’s comfy! 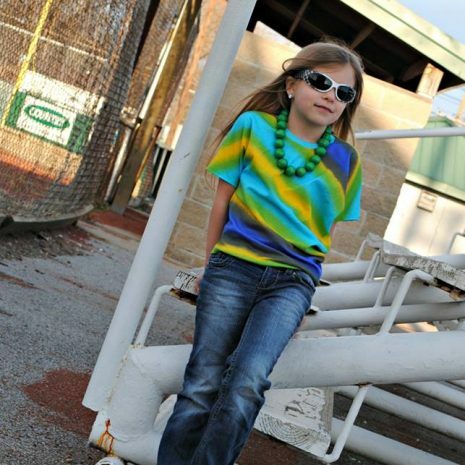 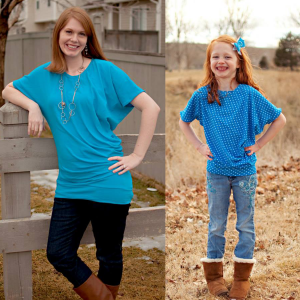 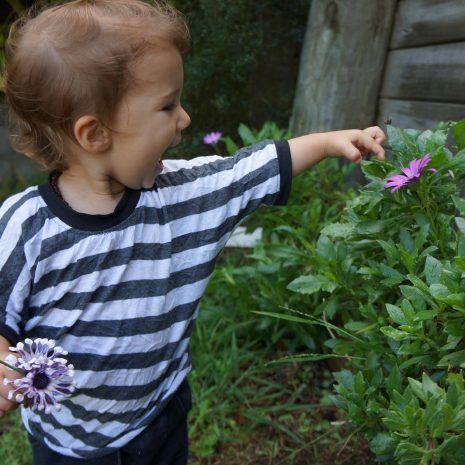 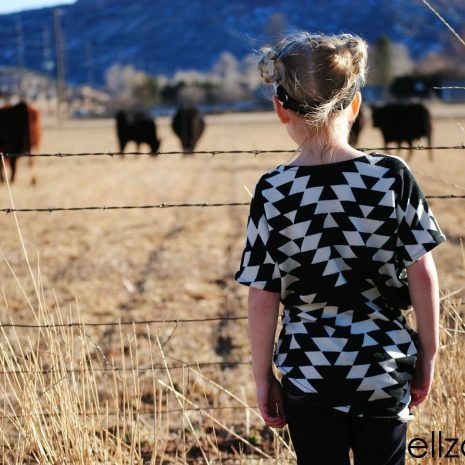 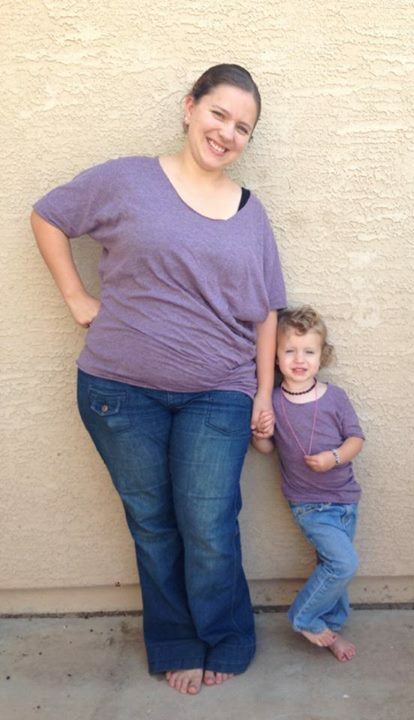 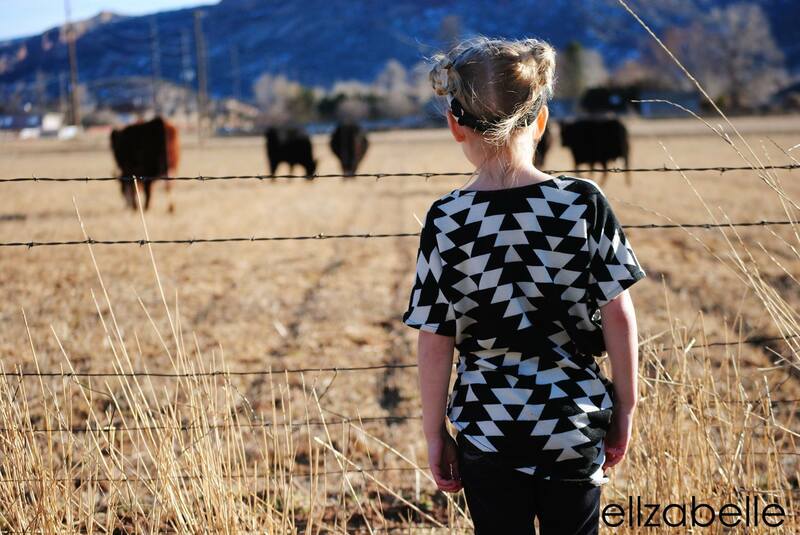 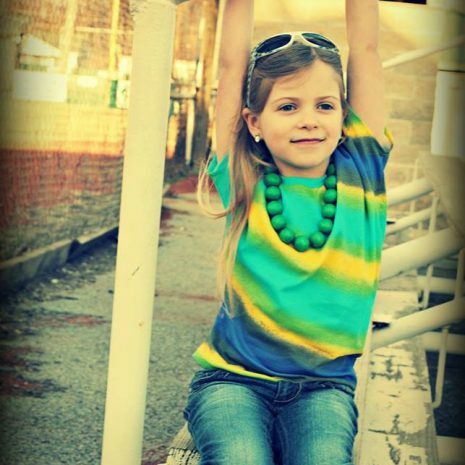 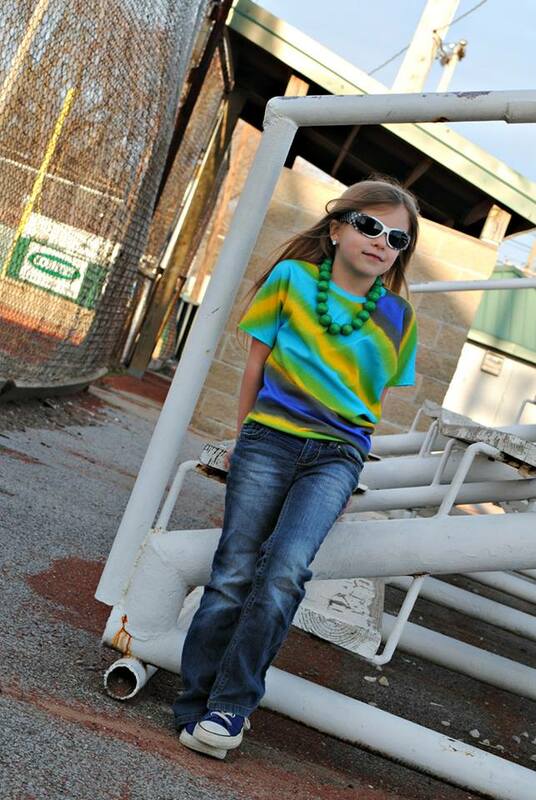 This tee is a perfect staple, and my very picky tween daughter loves it. 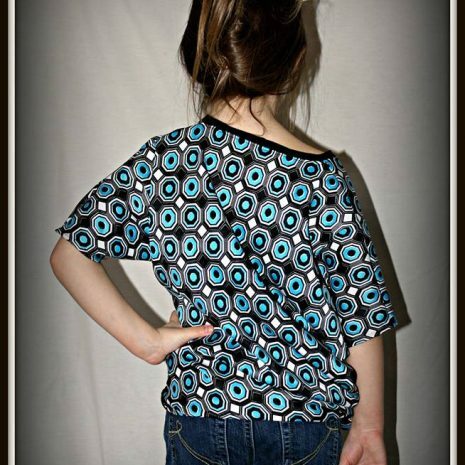 I love the ease of use and HUGE size range I get with EYMM patterns.